إذا كنت تبحث عن عقار بموقع جيد في المدينة، فقد وجدت ضالتك في Eight Willows Retreat. يمكن من هنا للضيوف الاستمتاع بسهولة الوصول إلى كل ما تقدمه هذه المدينة النابضة بالحياة. يشكل هذا الفندق ملاذاَ مريحاً للاسترخاء ويمنح زواره فرصة للاستجمام والتجدد، وهو يقع على بعد خطوات من المعالم السياحية الكثيرة للمدينة. إن الخدمات الممتازة وحسن الضيافة العالي في Eight Willows Retreat تجعل إقامتك تجربة لا تنسى. يقدم هذا الفندق العديد من الخدمات الكفيلة بإرضاء أكثر الضيوف تطلباً. استمتع بوسائل الراحة الراقية في الغرف أثناء إقامتك هنا. بعض الغرف تتضمن تلفزيون بشاشة مسطحة, حوض الاسترخاء, غرف لغير المدخنين, مكيف هواء, تدفئة لمساعدتك على استعادة طاقتك بعد يوم طويل. يمكنك طلب اللائحة الكاملة للخدمات في الفندق ومن بينها صيد السمك. إن كنت تتطلع إلى إقامة مريحة وهادئة في المدينة، فستجد في Eight Willows Retreat بيتك الثاني. يقيم الأطفال ما دون عمر 3 سنوات مجاناً عند استخدام الأسرّة الحالية. Location: I followed GPS to get here and had no idea where I were. I only remember it's in a huge beautiful forest garden with lakes and lovely wild animals. The next door was a winery. Cleanliness: very clean. We stayed only one night and didn't need to change the linen stuff. But there's a note saying the retreat only change the linen every three days, maybe for saving the environment. Staff: very friendly. We arrived a bit late at the place and did self check-in. They left the door unlocked for us and the key was on the kitchen bench. The room was ready to move in. Just passed the signed paper work to the reception when we check out in the morning next day. Facilities: amazing. Very spacious room. It looked like brand new. You got everything you would need in the room. A tube, a shower, a full kitchen and a open balcony to the back yard. It'll be such a waste if you don't use that kitchen, I would say it's the best kitchen I've seen in Australian hotel houses. Will come back. Hi Kun thank you for staying with us and posting your review. We appreciate your comments and feedback and look forward to seeing you again in the not too distant future. Regards Garry. Location is a bit remote, but close to a lot of vineyards. Perfect for a weekend retreat! Hi Ben thank you for staying with us and posting your review. The whole area is very nice. counter staff is very helpful and provide with map and guides we need. He even called me up, and email me to ensure my check in process. its a wonderful place , place is clean , and i love the bed !!!! Hi Theresa thank you for your review. We are very happy to hear that our staff impressed you and you enjoyed our property and facilities. We look forward to seeing you again. Beautiful chalet with wonderful spa bath and fully equipped branded kitchen. Quiet surrounding to stay away from gadget , relax and free your mind from the city life. wonderful staff with top service. Hello Ong thank you for your review. We are always pleased to hear our guests enjoyed the facilities and our retreat. 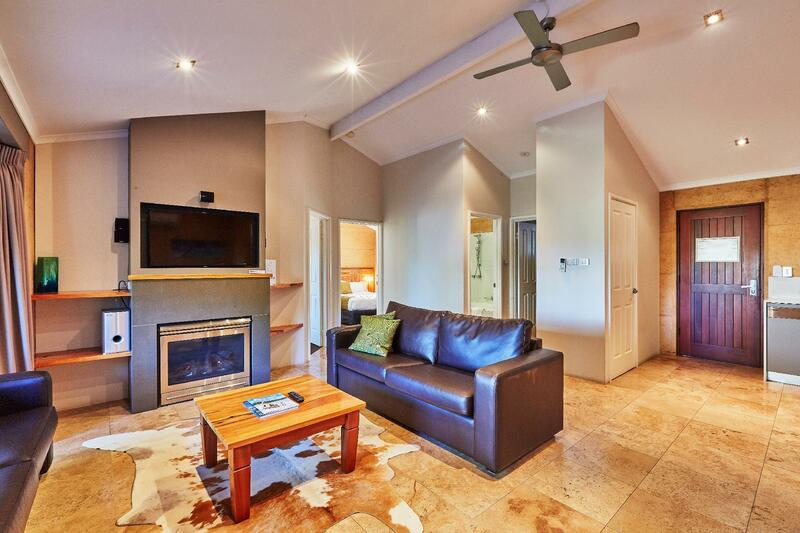 Thank you for choosing Eight Willows Retreat and we look forward to seeing you again in the future. Beautiful site and room, away from everything and close to most wineries. Room has everything you need. Great value for money. Hi Carlos thank you for staying with us and posting your review. We look forward to seeing you again in the future. Regards Garry. Certainly a good place to relax. quite a fair bit of hiccups during our 4D3N stay. 1st night with water flowing out from the dryer, they had us shift to another unit. Unfortunately, the heater was down, kids was freezing in cold throug the night. Apparently they cant get it repair for our stay. they brought in two units of portable heater. Appreciate their effort to even get it for us late at night even thoug the manager is due to travel the next day. Service is undeniable good. Hello Siew thank you for your review. We apologise for the issue with the plumbing. As soon as it was identified we arranged to move you to another chalet. For the heating unit, we were advised by the technician that the parts would need to be ordered and hence provided you with portable oil heaters for your stay. The gas fire in the lounge room was also fully operational. We are pleased that apart from these issues you had an enjoyable stay and we look forward to welcoming you back. Regards Garry from Reservations. This place is so beautiful and well equipped with kitchen, laundry and even an electric bbq. We didn't bbq as it was too cold outside but cooked our dinner for the 2 nights we were there by getting food from IGA which is about 25 mins drive away. We even saw kangaroos roaming around on 1 night! The kids were thrilled! Hi Amelia thank you for your review. We are so pleased you and your family enjoyed the fully equipped kitchen in your chalet and that the children were able to see some of our resident kangaroos. We look forward to welcoming you back! Regards Garry from Reception. New spacious chalet with great kitchen and washer dryer perfect if traveling with kids. good modern kitchen and luxury bathroom. We had a beautiful view over the adjacent vineyard but some look out over the lake. Hi Randall thank you for your review. We are happy that you enjoyed your stay and look forward to welcoming you back in the not too distant future! Regards Garry from Reception. Great location to all the famous wineries and places of interest. Appliances such as fridges, washing machine and dryer were all good quality brands which we were pleasantly surprised. Spa bath was a luxurious touch. Lots of space for 2 people. Only gripe was aircon made a constant funny noise which meant we had to wear ear plugs, pillows too soft for our liking but bed was very comfy and not enough coffee sachets given in our opinion as they only service every 3 days. But these are small issues, would stay again!! Hi Louisa thank you for your review. We are very pleased to hear you enjoyed your chalet and the facilities contained within it. I have noted your comments around the air conditioner and organised for the unit to be serviced. 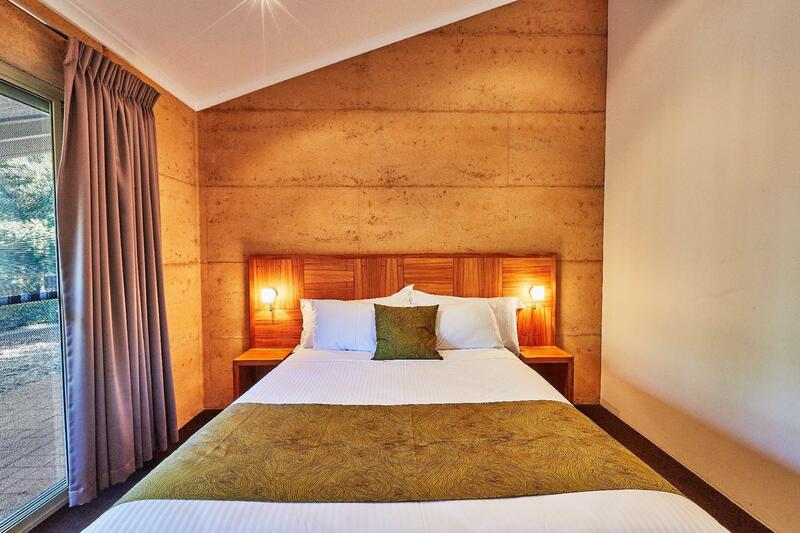 Had you mentioned the pillows we could have endeavoured to assist with alternative pillows for your stay. Likewise the number of coffee sachets in the chalets is standard number and we are more than happy to provide extras on request. We look forward to seeing you again! 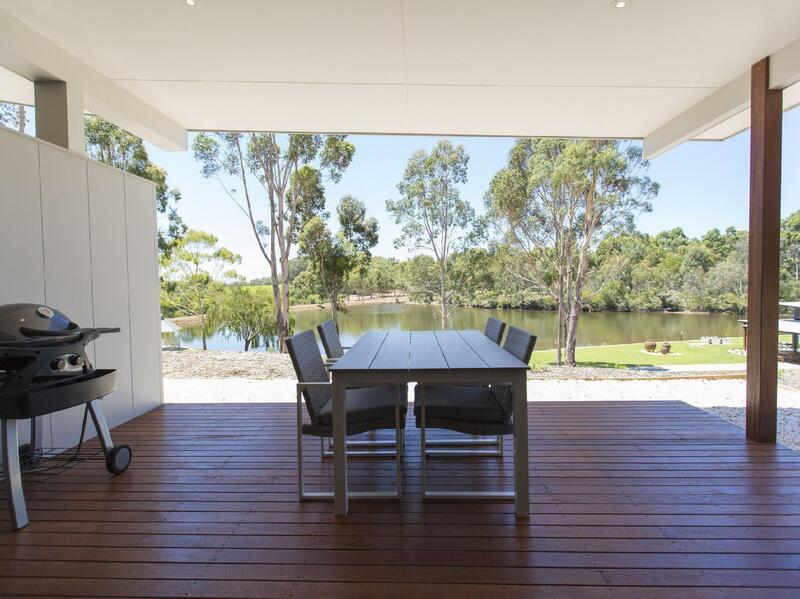 If you want to step out of everyday, then this is the ideal locstion, self contained accomodstion, far enough away from everything, nestled among natural bushland. Be lulled by the birds,the trees in the breeze, some rain drops (which depends on the season), or be close enough to the wineries, arts and crafts. Highly recommend this place for that back to nature, reality check. Hi Andrew thank you for choosing to stay with us and for posting your review. We are very pleased to hear you enjoyed our retreat and we look forward to seeing you again! Garry Fairman - Accommodation Manager. Hi Christine thank you for staying with us and posting your review we appreciate your comments and feedback and look forward to seeing you again in the future. Very nice and cosy environment(next to the vine yard). 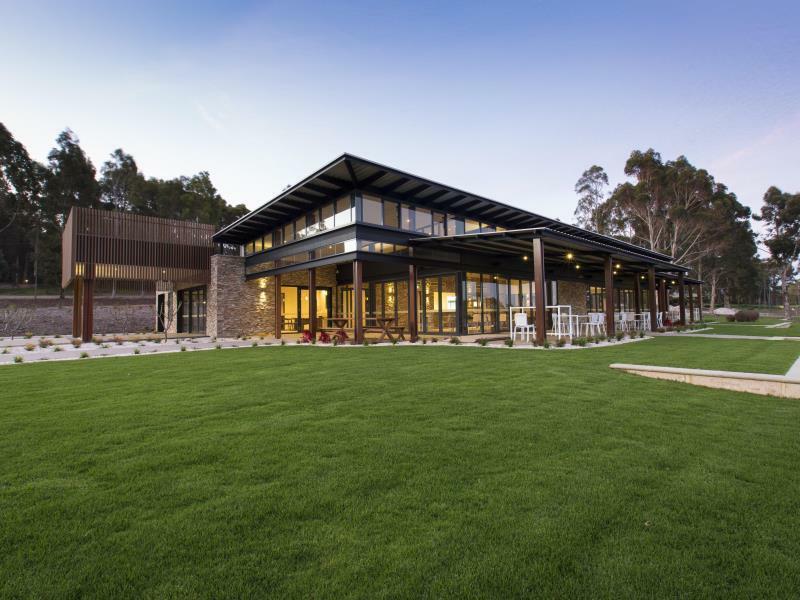 You need to drive to get there as it's located at Margaret River Wine Region. Good facility even come with grill stove. We did the cooking and BBQ there. Great place to chill out too. Hi Martin thank you for your review. We look forward to seeing you again soon. We will definitely want to return. Birds and bush plants at the doorstep. Location is between Busselton and Margaret River , so it’s good if you want to visit the two areas. Rooms are clean and the kitchen was well equipped with brand name appliances. The hood is externally ducted, so there are no fumes in the unit even with high heat Chinese cooking. We particularly enjoyed the outdoor twin grill, which handles steaks and grilled vegetables well. Groceries can be obtained from Coles at Margaret River, and there are a plethora of activities within 30mins drive. There are however no activities on site for the children. No playground, no canoes, no bicycle rentals, zilch. So for sleeping , showering, upgrading your grilling chops, eating and spending time looking at the beautiful sunrise and sunset, YES! But for entertaining your little ones, it is essential to bring along a creative grandpa and more than one kid. Hi Clinton thank you for your review we are very pleased that you enjoyed the facilities. We have noted your comments regarding children's activities. Look forward to seeing you again. good place , you can see wild kangaroo frm the forest side, need to travel in a group so you wont feel bored. we come from busy city life, we feel very relaxed at this resort, nice flooring, the best toilet i have stayed in 9 days of my WA trip. its abit too far frm the town, at night is quiet. I was impressed by their customer service (Kiri - not sure spelling is right) as she went extra mile by waiting for me to check in after their business hour. Upon entering the chalet, it was another delight as it was so neat and nicely design and the baby cot I've requested was already setup right next to the bed. They also provided high chair for my baby, not sure because I've requested for a baby cot or it's part of the facilities. Great job done! Anyhow, I was slight disappointed with one of the cooking pots wasn't clean properly as I can still see the food stain and they don't provide daily housekeeping but they do provide extra shampoos and towels. The stay was excellent, pleasant area peaceful, quiet, fresh air. Chalet style with high quality appliances and furnishings, eg. BBQ, Washer, Dryer, Kitchen etc... We were so fortunate to see 3 kangaroos on our last day which were owned by the the management. We will definitely come back next time. WIlly Bay is situated at a peaceful and beautiful corner of Margaret River, good for visitors here for wine tasting and not wanting to "spend a lot of money to live like homeless people" at campervan parks. Good for couples, group travelers. Very impressed with the retreat, it was nested amongst the tranquility and energizing native and natural bush. The chalets, were modern clean and contained everything you could need. Having breakfast under the alfresco, listening the the birds, trees and watching the sun bring the day alive, was exactly what we required. Towards the end of the days we strolled around the site absorbing the beauty that surrounded us, along with the local Kangaroos. Staff were very welcoming, approachable and friendly, we will definitely be returning again when we need to step off the roundabout of everyday life. The whole experience certainly allowed us to recharge our batteries. You couldn’t be disappointed with Eight Willows, especially if you need to do the same. Hi Andrew thank you for your review and your positive comments we are very pleased that you enjoyed your stay with us! We look forward to welcoming you back to our retreat in the future.